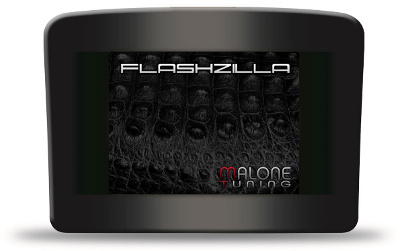 The FlashZilla is a very popular device that allows you to receive engine tunes via e-mail and upload them to your vehicle anywhere. Tunes are sold separately and are for one vehicle. We will send you an invoice for tune(s) after you receive the FlashZilla. This tool will support all VW diesels from 2000+ with the exception of 09-10 3.0L TDIs. Most gas models are also supported, it is typically best to bench-flash (remove ECU from vehicle, send to us or a dealer) the VR6s, 2.5Ls, and 2.7TTs. ME7, ME9, and MED17 platforms. Simos ECUs found in MQB chassis 1.8T and 2.0Ts, along with DSGs, should also be supported in the near future. Supports most 2000-current model year vehicles. Important note: 2009-2010 3.0L TDIs (VW Touareg, Audi Q7, etc.) are not supported at this time. Most OBD2 flash tools like this one cannot read most 2009+, they can only ID it. Based on your ID, we will check our database if we have matching ECU software. OBD2 cable for connecting the device to your vehicle. USB cable for connecting the device to your Windows computer if you want to transfer tunes to FlashZilla. Apple computers are not supported at this time. ECU recovery for reliable flashes. Allows only 1 car to be tuned at a time. Cannot tune 2 or more cars simultaneously. Restoring the stock tune in your vehicle will unlock it for use in another vehicle. FlashZilla v2 production was discontinued several months ago, since it was a very user friendly tool we continued to sell them for as long as possible. While we wish we had more to sell for older vehicles, at this time our remaining inventory will be used for repairs/exchanges and rentals. Please feel free to email us if you have any questions or concerns.